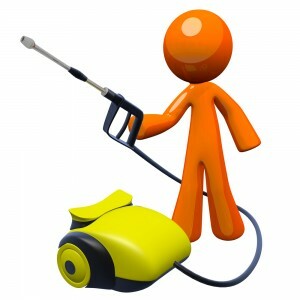 Power washers are the ultimate in professional cleaning equipment. Britclean has a full range of power washers to choose from. Blasting away stubborn or embedded dirt, grease and grime is a cinch because we have the cleaning solutions to enable you to get the job done efficiently. No cleaning task is too big when you have the power of high pressure water on your side. From cleaning your paths, patio, or decking at home, to fulfilling a large commercial contract, or completing a daily industrial deep clean. Britclean is the place for power washers! If you would like to buy power washers, we have the ultimate range to choose from. Browse online for pressure washer machines by Karcher, Nilfisk, Ehrle, and Interpump. Did you know that we also manufacture our own Britclean Power Washers? Our own offering is based around two industrial cold power washers and four industrial hot water power washers. These powerful cleaning devices are fully mobile with a range of pressure outputs to match your industrial deep cleaning specifications. Not looking to buy? Hire one of our power washers for the day, a week, a month or even longer. When it comes to commercial applications, leasing or hiring is a great option. You get to focus on the important cleaning task with the confidence that you have a powerful and reliable machine, backed by Britclean support and expertise. Founded in 1978, Britclean has developed an unrivalled wealth of experience in the field of floor cleaning equipment. We are still a family business so you can expect a personal and attentive customer service. Power washers are just one of many tools in Britclean’s arsenal to help you in the battle to win the cleaning war! To find out more about buying or hiring power washers, contact us today. This entry was posted in Britclean UK and tagged Power washers, Pressure Washers on February 16, 2017 by Julian Chadwick.